The organisers of the Cholmondeley Pageant of Power have confirmed that next year’s Pageant will take place from Friday 14 to Sunday 16 June. The Pageant of Power (www.cpop.co.uk) takes place on the Cholmondeley Estate in Cheshire, and celebrates power and performance in its many forms. 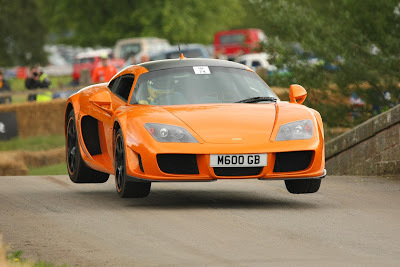 In 2013, the sixth year of the event, the Pageant will feature a record number of supercars, race and rally cars, superbikes, helicopters and powerboats, as well as an awesome aerial display..
Organisers promise the event will be more interactive than ever, and will host a sequence of dramatic challenges, such as supercars vs. rally cars. ‘Noise’ will be a notable theme, with attendees encouraged to vote for their favourites in orchestrated ‘noise-off’ battles between evocative machinery – classic and modern, from thunderous aero-engined cars to wailing Formula One racers. Competitors and other participants will be asked to unleash the full fury of their performance machines. Those of a sensitive disposition will be pleased to hear that in 2013 everyone who buys tickets before April – young and old – will be given a free pair of ear plugs. For further information on the Cholmondeley Pageant of Power and for video highlights from the 2012 event, please visit www.cpop.co.uk. Champion GP3 Chief Race Engineer, Jay Davenport has confirmed that he will be tutoring the Motorsport Industry Association’s (MIA) School of Race Engineering ‘Winning Workshops’ at the Autosport International Show on 11th January 2013. Jay, who has years of experience in single-seater, touring car racing, will be sharing his race-winning secrets of car set-up with up to 200 attendees at the show. The three-hour workshops will cover every element of preparing a faster race car for the track; from tyres and camber set up to gear ratio selection and aero adjustments. Designed to be open to everyone aged 16 and upwards and including free entry to the Autosport International Show for the rest of the day, the Winning Workshops are a great taster of professional race engineering for motorsport enthusiasts, club-level racers and even drivers wanting to know more about car set-up. The MIA hopes that this accessible yet technical ‘taster’ of the profession will also help to attract more young science, technology, engineering and mathematics (STEM) students into studying engineering and pursuing a career in motorsport. 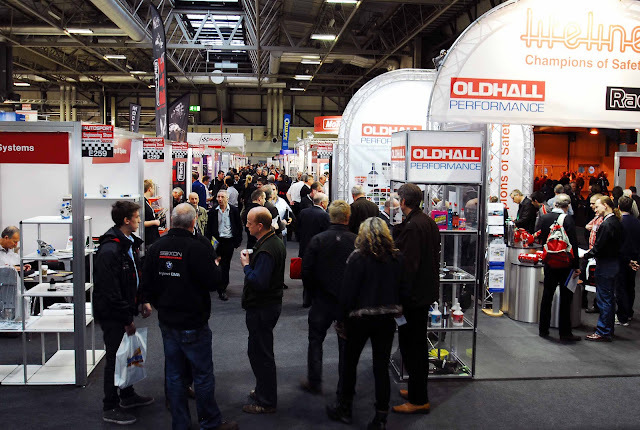 With tickets for the half-day workshops at only £130 and the rest of the day free to enjoy the show, the Winning Workshops are a great opportunity to optimise attendance at the Autosport International Show and take away some invaluable knowledge. For more information on the Winning Workshops, please visit our website at: http://www.the-mia.com/events_diary.cfm/flag/2/e_id/696 or contact Zoe Chilton at the MIA by emailing zoe.chilton@the-mia.com or by calling +44(0) 2476 692 600. MOTORCYCLE racing will once again feature on the Rockingham calendar in 2013 following confirmation the Northamptonshire circuit will be hosting a round of the Thundersport GB National Championships next summer. 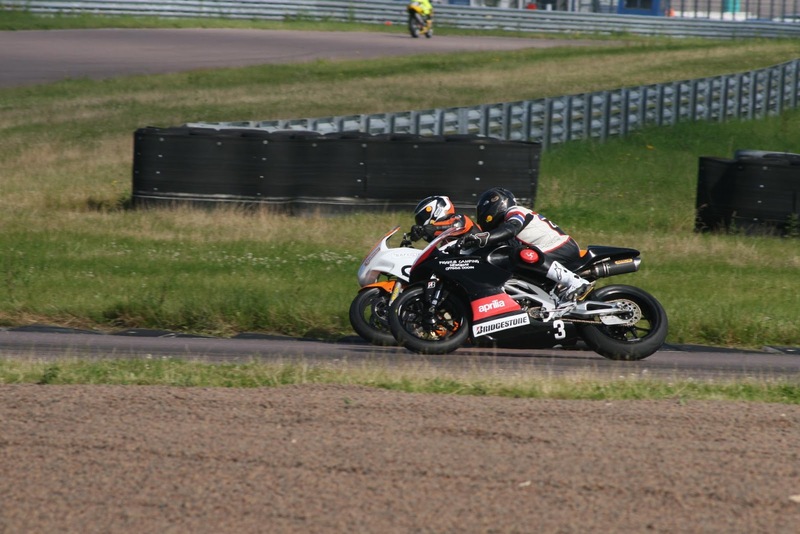 The UK’s second largest, and fastest growing, bike race series, Thundersport GB offers riders and fans alike the chance to watch an awesome array of two-wheel machines in action. With everything from the super-fast GP1 class with bikes which can rival Superbike lap times right through to 500 parallel twins, Supertwins, Minitwins, Superstock 600, Superstock 1000, Streetfighters, Formula 600. Plus the stars of the future in the exciting Aprilia Superteens and the beautiful grand prix styled Aprilia RRV450 GP machines – there is something for everyone. Thundersport GB also hosts the official Combined Military Services Championship and for the first time in 2013, the Buffera Formula Female Championship. Thundersport GB is the most exciting and varied series in British motorcycle racing and with up to 20 different championship titles up for grabs, the packed schedule guarantees two days of non-stop action and entertainment. Rockingham’s Chief Executive, Charlotte Orton, said: “We’re delighted to be welcoming Thundersports GB back to Rockingham next season. It is a fantastic action-packed race weekend, which offers something for spectators across the generations. 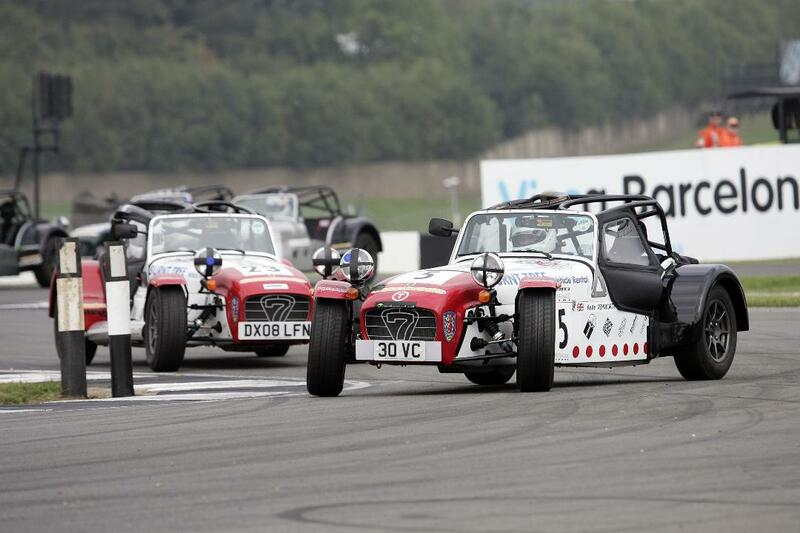 Rockingham hosts Round 10 & 11 of Thundersports GB over the weekend of July 27/28, with 18 races on the Saturday and a further 20 on Sunday, which will be televised. All the action again takes place on the 1.94-mile International Motorcycle Circuit, following the success of this season’s summer visit. Thundersport GBs Director of Racing, Dave Stewart, said: “Thundersport GB has developed a reputation for not following the established trend and we want to challenge our competitors with a calendar which has nine weekend events held at completely different circuits. “Last year Rockingham was added to our calendar, as we believe it offers a unique challenge with its anti-clockwise layout and mixture of technical turns, fast straights and sweeping curves. There is free access to grandstand seats offering a perfect view of the entire circuit as well as the opportunity to watch the action from the top of the pit garages. Spectators can also visit the race paddock for a unique insight into the hard work behind the scenes from the teams. 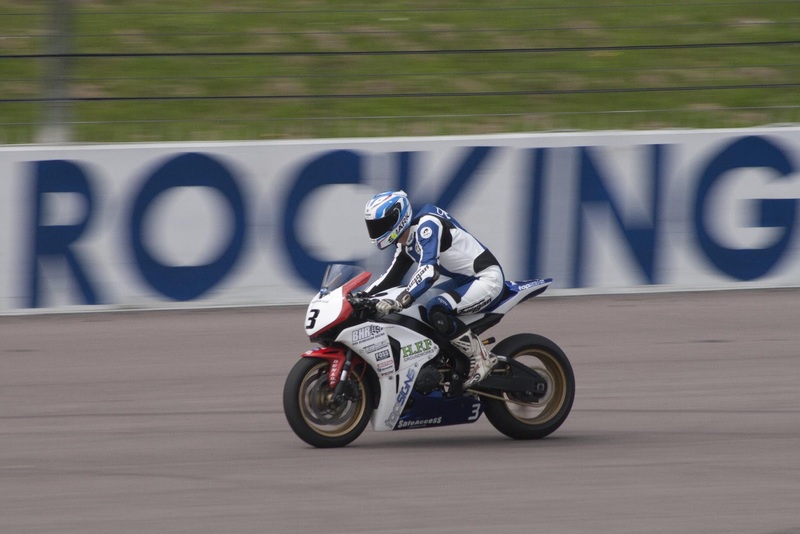 Rockingham prides itself on providing access to all motorsport fans. All areas have wheelchair access and those who are registered disabled can apply for a FREE admission ticket for their carer. Written proof is required. Ticket prices will be announced and available from January 2013. Advance tickets can be purchased either online at www.rockingham.co.uk or via the ticket hotline on 01536 500500. That is the first time that Motorcycles have ever featured on Overdrive-uk.com! Crowds flock to the Autosport Stage at last year's Autosport International Show. 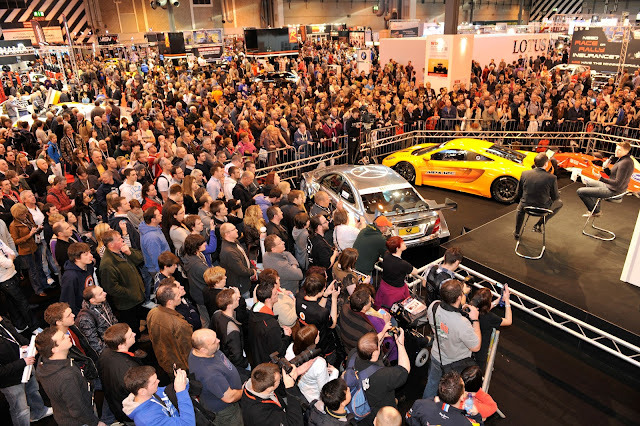 If you want fast cars and high profile stars, then Autosport International is the show to start your 2013! Taking place at the Birmingham NEC on 12-13 January, the show encompasses all aspects of motorsport, and will include appearances from celebrity names such as Formula One legend Sir Jackie Stewart, current F1 star Paul Di Resta and departing BBC F1 anchor Jake Humphrey. Stars from across the range of motorsport disciplines will also be in attendance, including 24 Hours of Le Mans winners Derek Bell and Allan McNish, 2012 FIA World Touring Car Champion Rob Huff and MSA British Touring Car Champion Gordon Shedden. The F1 Racing Grid allows visitors to get up close and personal with a range of the 2012 Grand Prix cars, while the Live Action Arena, the UK’s largest indoor race track, is the place to go for a pre-season adrenaline fix. Attendees can also ‘have a go’ themselves, with passenger rides and karting challenges on offer. Features include displays dedicated to the career of Sir Jackie Stewart and ‘A tribute to Richard Burns’; a commeration of the 2001 FIA World Rally Champion. In addition, Autosport International is also proud to present The Performance Car Show: Powered by PistonHeads.com, a motoring show dedicated to the best supercars and performance cars, including the 700bhp V12 Lamborghini Aventador and Ferrari’s 458 Spider. Tickets for Autosport International cost £31 for adults and £20 for children aged five and over. For more information and ticket sales call 0844 581 1420 or visit www.autosportinternational.com. The Pre War racing cars may be old enough to be museum pieces, but they are still raced properly! 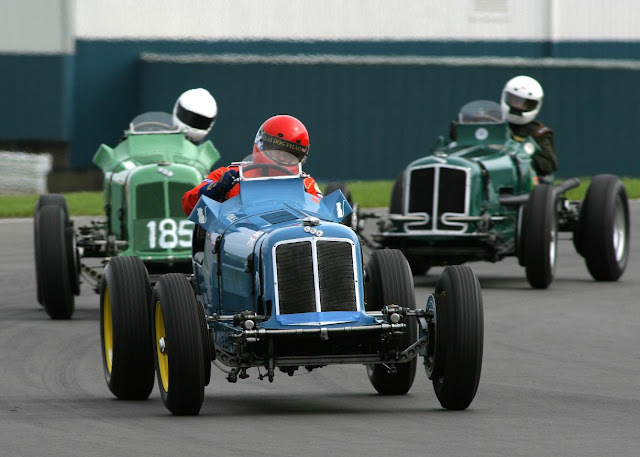 The Historic Grand Prix Association (HGPCA) is to celebrate the 80th anniversary of the first car race at Donington Park in 1933 by bringing a pre-War Grand Prix grid to the 2013 Donington Historic Festival (May 3rd, 4th, 5th), ensuring even more on-track excitement and in-paddock appeal for this ever-popular international event, and giving yet another reason why Festival tickets are the ideal Christmas gift for historic motorsport fans. As well as the racing, there’s a host of other activities to keep spectators busy, from historic rally car live action and classic car club displays to the trade village and the open paddock. The early days of Grand Prix racing hold a very special, almost mythical, place in motor racing history. Thoughts of legendary marques such as Alfa Romeo, Alta, Bugatti, Delage, Delahaye, ERA, Frazer-Nash, Maserati, MG and Talbot-Lago – all of which are likely to appear at the Festival – and of drivers such as Nuvolari, Seaman, Lang, Bira, Rosemeyer, Chiron, Varzi and Caracciola still send shivers down the spines of racing enthusiasts to this day. From the 1920s to the late 1930s, works teams and private entrants would compete against each other on the race circuits of Europe. Racing was fast and furious and careers – and lives – all too frequently short-lived. And, as the world headed towards war, it was Germany that would dominate the final days of Grand Prix racing in that era, with the unbeatable Auto Union and Mercedes-Benz cars, the Silver Arrows. Donington Park saw its own share of this excitement, including the Alfa Romeo P3 of Richard ‘Mad Jack’ Shuttleworth, taking victory there in 1935, followed by Richard Seaman and Hans Ruesch’s Alfa 8C in 1936. The 1937 and 1938 Donington Grand Prix races would be two of the biggest motor racing events ever staged in Britain, with the Silver Arrows of Bernd Rosemeyer and Tazio Nuvolari simply obliterating the competition. The HGPCA plans to award a Tazio Nuvolari Trophy to the winner of the Festival’s Sunday pre-War Grand Prix finale race. 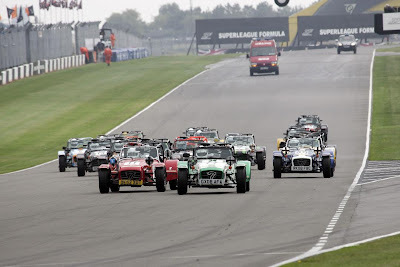 Now Donington Park is set to relive those legendary days over the weekend of May 3rd, 4th and 5th 2013, as the types of racing machines that the Silver Arrows came to dominate take to the track once more. And visitors can indulge their love of historic GP cars even more over the weekend; Festival ticket holders are entitled to two-for-one entry to the Donington Grand Prix Collection – the largest showcase of Grand Prix racing cars in the world. Advance ticket prices start at £12 for the Friday, £20 for Saturday or Sunday and just £36 for a three-day weekend ticket. On-the-gate prices will be £15 for Friday, £25 for Saturday or Sunday and £45 for the three-day weekend. Children aged under 16 are admitted for free. There are also special discounts for members of car clubs that have registered with the Festival (so please contact your car club official to make sure they’ve registered…). To learn more about the Donington Historic Festival, please visit www.doningtonhistoric.com. 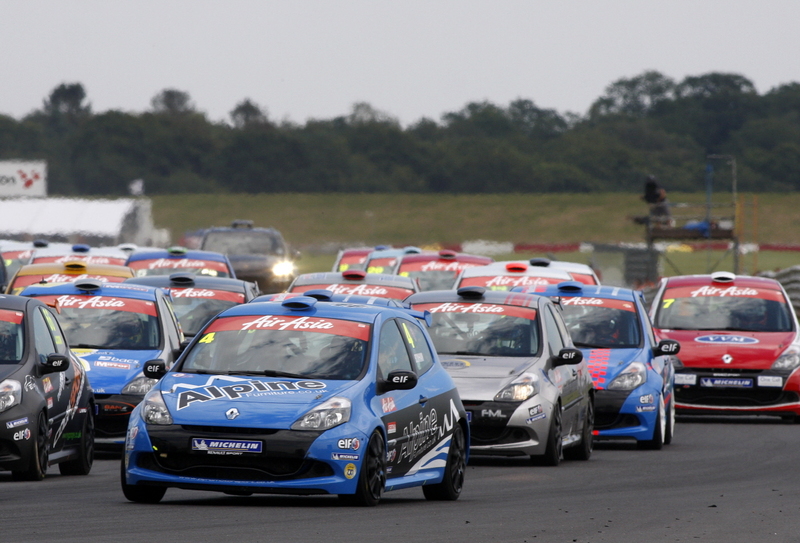 Renault UK, the British Automobile Racing Club (BARC) and Michelin are delighted to announce the launch of a brand new entry-level race category for 2013, the Michelin Clio Cup Series with Protyre, which is aimed at providing a professionally run, cost-effective first step into saloon car racing. 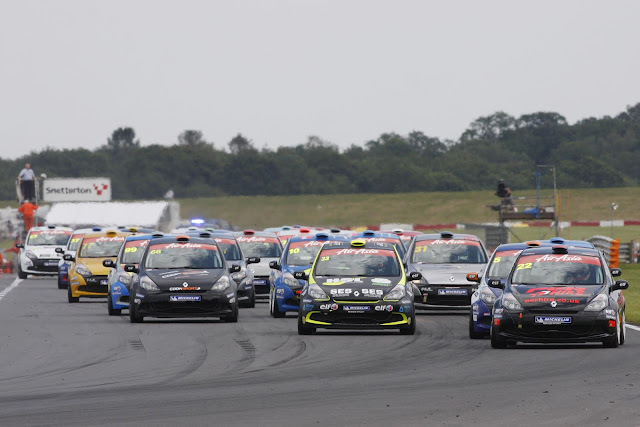 Targeting complete circuit novices, seasoned track day participants and also competitors with prior race experience, the Michelin Clio Cup Series with Protyre is expected to run across four events next year with the potential to become a fully-fledged championship in 2014. Based around the third generation racing Clio, as currently run in the sister Renault UK Clio Cup, the freshly launched series will become the new home for the existing 2.0-litre car when it is replaced in the headline British Touring Car Championship-supporting category in 2014. “Michelin Clio Cup Series with Protyre perfectly fills the gap in the market for those who enjoy track days, such as our own very successful Renaultsport Trackdays, but who want to make the step into actual competition without moving straight into the Renault UK Clio Cup”, said Jeremy Townsend, Renault UK Communications Director. Although the calendar of events is still to be ratified, provisionally the series is expected to begin over the weekend 11th/12th May at Snetterton in Norfolk – running with the Protyre Formula Renault Championship – with a second event at Croft in North Yorkshire in July. Two more race meetings are also planned, the first at Rockingham in Northamptonshire over the weekend 10th/11th August, with the final event set to take place at Brands Hatch in September. There is also a desire to run further events during the winter of 2013. In a move to ease the transition into competitive racing for rookie drivers, the introduction of a conversion kit has been confirmed which will enable owners of road-going Clio Renaultsport 197 and Clio Renaultsport 200 cars to transform them to track specification for as little as £3,000. Included in the kit is a roll cage, seat belts, fire system with extinguisher and suspension from the Clio rally car. Alongside the main headline class for thoroughbred racing Clios and a ‘Road’ class for the converted cars, there will also be two driver categories – ‘Expert’ for those with previous racing experience and ‘Sport’ for competition novices. One of the key facets of the newly created series, as per the headline sponsorship from Michelin, will be the use of Michelin Pilot Sport 3 road tyres as the renowned manufacturer brings its flagship sports tyre into competitive UK motorsport for the first time. “It’s very important for the Michelin brand to remain closely linked with Renault and by being the official tyre partner for the new Clio Cup Series, we have a perfect opportunity to showcase the high performance of our Pilot Sport 3 road tyre”, said Michelin UK head of marketing Jianni Geras. 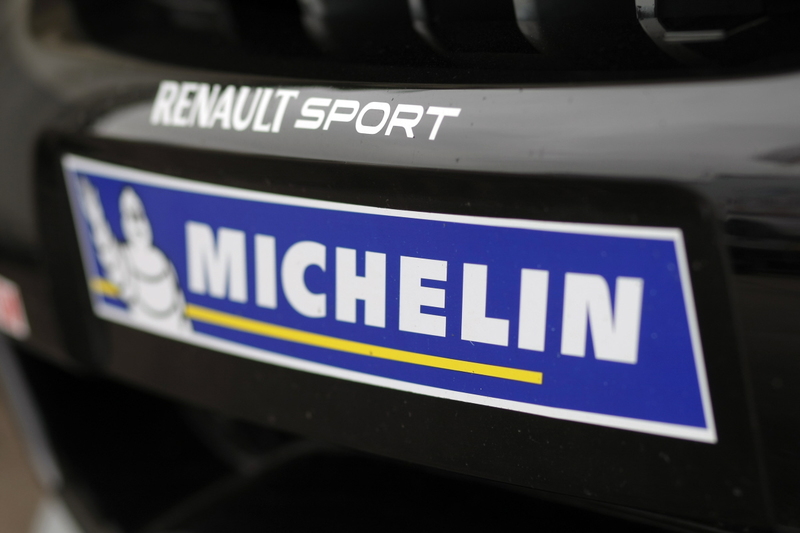 Something of great importance to the success of the Michelin Clio Cup Series with Protyre will be the support of existing Renault UK Clio Cup teams who have strongly welcomed the announcement and creation of the category. Team Pyro’s Mark Hunt and Scuderia Vittoria’s Danny Buxton, two of the lead pioneers behind the idea to establish a club-level series for the incredibly successful third generation Clio Cup car, are both very confident there is already a strong market for the new category. “I think it’s absolutely brilliant BARC, Renault and Michelin are introducing this series, there’s a massive market for it and in the current climate it’s exactly the sort of thing that’s needed”, said Hunt, “If we can have race meetings over two days, rather than three, it’ll be great and there’s no threat of it taking customers away from the UK championship. Buxton, the 2001 Renault UK Clio Cup Champion, added: “Mark [Hunt], Tom [Ferrier – Scuderia Vittoria co-owner] and I originally came up with the idea and spoke to Ian Watson at BARC about it and, since then, it’s gathered pace massively. Michelin has been a big supporter of Clio racing over the years and it’s great they’re involved with this, running road tyres will help to keep costs down. Precise technical details and sporting guidelines for the Michelin Clio Cup Series with Protyre will be issued in the New Year and the category will be launched to the motorsport community on the BARC stand at the Autosport International Show, on 10th/11th/12th/13th January, at Birmingham’s NEC. French Formula 1 star Romain Grosjean put in a stunning performance to eclipse 15 fellow superstars of motorsport and win the Race Of Champions on an evening of thrills at Bangkok's Rajamangala Stadium. Following Team Germany's victory over Team France in last night's ROC Nations Cup, the Race Of Champions pitted many of the biggest names in motorsport against each other in head-to-head combat in a variety of different cars. In the end Grosjean overcame Le Mans legend Tom Kristensen in the best-of-three Grand Final to become Champion of Champions for the first time. Kristensen, who also reached the final last year, was chasing his own first individual Race Of Champions title at the 12th attempt. But he was thwarted by the young Frenchman, who won both heats to seal glory. Grosjean said: “That’s what I’d call a crazy day! It got a bit tough in the group stages but I managed to make it through. Then I had to face Sebastian Vettel in the quarter-final before Michael Schumacher in the semi-final – the two Germans who beat us in yesterday’s ROC Nations Cup final. 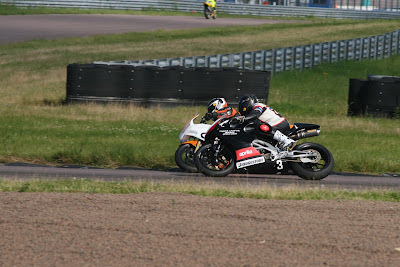 Then I had the final with Tom. We’ve had a good history at this event and I’ve raced him before so it was good to face him in the final. I got a bit of extra luck to be in the right car at the right time but it felt good. Beaten finalist Kristensen has competed in 12 Race Of Champions events, more than anyone else in the field. The 45-year-old Dane nonetheless hopes to be back for more. Michael Schumacher seemed to be continuing where he left off last night as he went undefeated until the semi-final stage. There he came up against an inspired Grosjean and his quest for the individual ROC title faltered again. Schumacher's fellow F1 old-timer David Coulthard was beaten by Kristensen in the other semi-final. After sharing in Schumacher's success last night, 2012 F1 world champion Sebastian Vettel was eliminated in the individual quarter-finals for the second year in a row, also by Grosjean. Facing a tight battle, Vettel made a mistake and hit the barrier hard. Another big scalp at the quarter-final stage was last year's Champion of Champions Sébastien Ogier, beaten by Kristensen in a reverse of the result of last year's Grand Final. Coulthard defeated China's Ho-Pin Tung while Schumacher overcame 500cc MotoGP legend Mick Doohan in the other quarter-finals. To start the evening the drivers were split into four groups of four, battling for the right to line up in the knockout stages. Reigning champion Ogier began in dominant fashion, taking three wins out of three in Group A. Coulthard also progressed thanks to his two wins against V8 Supercar king Jamie Whincup and Production World Rally Champion Benito Guerra. Whincup beat Guerra but neither driver made it any further. Tung was the surprise package of Group B. After falling to an initial defeat against touring car great Andy Priaulx, the Chinese driver recovered to top the group, beating Kristensen and home favourite Nattavude Charoensukawattana. The Thai prompted one of the night's biggest cheers when he defeated Priaulx, meaning the last quarter-final berth was decided by a shootout between Kristensen and Priaulx. That went to the Dane when a mechanical problem sent Priaulx into the barriers. Vettel made a predictably strong start, romping to three wins out of three including a victory over 2012 MotoGP world champion Jorge Lorenzo. Group C also included another legend of two wheels in Doohan, who defeated Lorenzo in their heat. The Thai crowd went wild as Tin Sritrai beat Lorenzo and crossed the line ahead of Doohan, only to miss out on qualification due to a time penalty. Schumacher and Grosjean both progressed comfortably from Group D – but it was the German who came out on top this time to keep his undefeated record intact with three wins to Grosjean's two. 2012 IndyCar Series champion Ryan Hunter-Reay took a single victory against Kazuya Ohshima, Japan's qualifier from ROC Asia, but it wasn't enough to keep the American in the competition. Grosjean's triumph marks the end of the 2012 Race Of Champions. We hope you've enjoyed it and we look forward to seeing you next year for ROC 2013. Keep up with the news by signing up for all the latest updates at www.raceofchampions.com, @raceofchampions on Twitter or Race Of Champions on Facebook. Team Germany's Michael Schumacher and Sebastian Vettel added to their incredible run of success by winning their sixth consecutive ROC Nations Cup title in Bangkok. On another hot evening in the Thai capital, legends from many of the world's biggest motor sport series teamed up in pairs to battle for national pride. They raced a mix of cars – including the Audi R8 LMS, VW Scirocco, Lamborghini Gallardo Super Trofeo and the Toyota GT86 – on a purpose-built parallel track at the Rajamangala Stadium. To cap off a busy night of action, Schumacher and Vettel prevailed in the Grand Final against Team France's Sébastien Ogier and Romain Grosjean. First Schumacher defeated Grosjean then Vettel beat rally ace Ogier in the 'battle of the Sebs'. The result meant that the German duo took an incredible ten wins out of ten on the night, matching their combined total of F1 world championships. They have now extended their record of ROC Nations Cup titles to six in a row too. Beaten finalists Team France also had a fine evening, topping their group before defeating Team All Stars (Le Mans legend Tom Kristensen and MotoGP world champion Jorge Lorenzo) by two heats to nil in the semi-final. In the semi-finals Team Germany beat Team Australia's Jamie Whincup and Mick Doohan by two heats to nil. They had earlier sailed through their Group B with six wins out of six to kick off their perfect night. Team Australia joined them in the semi-finals with three victories: two for Whincup, one for Doohan. Following their triumph in yesterday's ROC Asia, Team India's Narain Karthikeyan and Karun Chandhok failed to make it beyond the group stages this time. They took a win apiece but it wasn't enough against the might of Germany and Australia. Host nation Team Thailand (Nattavude Charoensukawattana and Tin Sritrai) fought hard but they were unable to progress beyond the group stages. Sritrai nonetheless gave the home fans something to cheer with victory over Doohan. Earlier in the evening, Team France (four wins) and Team All Stars (three wins) both progressed through the round-robin Group A to line up a best-of-three semi-final. Lorenzo memorably proved his two-wheeled skill extends to four wheels by defeating touring car great Andy Priaulx in one of the heats. Team Americas were unlucky to miss out on qualification on countback of fastest times as they also ended up with three wins courtesy of Benito Guerra (2) and Ryan Hunter-Reay (1). Team Great Britain (Priaulx and David Coulthard) missed a semi-final spot after both fell foul of penalties for touching the barriers – though they still took one win each. There is plenty more action to come in Bangkok on Sunday as the drivers will put their friendships aside and go it alone in the individual Race Of Champions. Coverage of tomorrow's finale will be available on television all over the world. Stations showing ROC live include SAT1 in Germany, Motors TV around Europe, Al Jazeera in the Middle East, Fox in Latin America and Brazil, Speed TV in Australia, the Sony Entertainment Network in India, PPTV and Euro Soccer channel in China, Super Sport in Africa plus many more. Please check local listings for exact details of broadcast times. Tickets are still available for this weekend's action. For a live results feed and access to high-resolution imagery please visit www.raceofchampions.com. Sign up for all the latest updates atwww.raceofchampions.com, @raceofchampions on Twitter or Race Of Champions on Facebook. Current Formula 1 content has played an integral part in the Festival over the last twenty years, and will continue to do so in 2013 as part of Goodwood’s 20th anniversary Festival celebrations. Subject to any further amendments to the Grand Prix calendar, the 2013 Festival of Speed will now take place on 12-14 July, with the Moving Motor Show being held on Thursday 11 July. 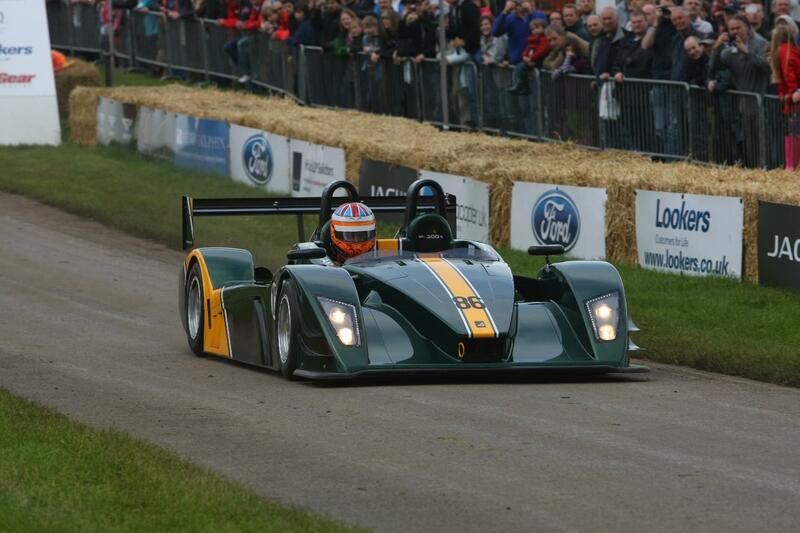 All 2013 Festival of Speed tickets already purchased will remain valid for the new dates. However, any queries can be dealt with by contacting the Goodwood Ticket Office on +44(0)1243 755055, or email ticket.office@goodwood.com. eBay Motors today announced it will continue its title sponsorship of West Surrey Racing (WSR) for the 2013 Dunlop MSA British Touring Car Championship (BTCC). WSR are designing and building new BMW 125i cars to NGTC specification for the 2013 season. The cars will be based on the M Sport version of the road car, and will be powered by 2-litre turbocharged engines in keeping with the BTCC rules. This new direction for WSR follows the use of a BMW 320si for the past 6 seasons. eBay Motors is the UK’s leading online automotive marketplace and 2013 will be its fourth season in the BTCC, having been a partner of WSR since 2010. Following a second place finish in the 2012 BTCC Teams’ Championship and 14 podium positions, the eBay Motors team will look to build on that result in 2013 by capitalising on the new model BMW and highly experienced team. eBay Motors will announce a new livery, as well as the driver line-up for the 2013 BTCC season in the near future. The first race of this year’s championship takes place at Brands Hatch on the 31st March 2013, with the Media day at Donington on March 21. Matt Neal leads the BTCC Pack at Silverstone - Number 1 passes to team mate Gordon Shedden next season. Honda Yuasa Racing has announced that Gordon Shedden and Matt Neal will once again spearhead the team's challenge in the 2013 Dunlop MSA British Touring Car Championship after coming first and second in the Driver's titles and scooping both the Manufacturers and Team prizes in the new Civic this year. 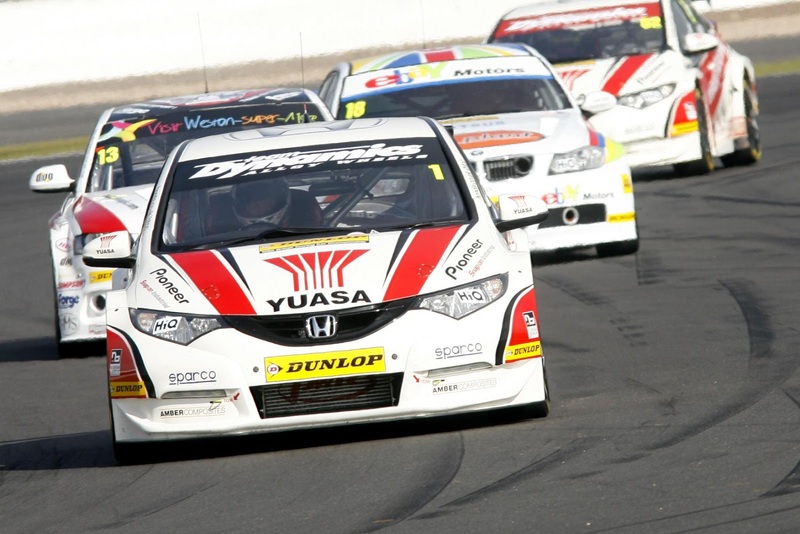 2012 brought Team Dynamics many challenges in the BTCC with new regulations and a new car. Operating out of Pershore, Worcestershire, Dynamics under the leadership of Steve Neal and Team Manager Pete Crolla, built and tested the Civic to the new NGTC rules in record time with Matt winning at the Brands Hatch opener at the season start. Matt has now won three championships with Honda and Gordon scooping his first title win in 2012. Commenting on the year's success both Gordon and Matt had a special thanks for all the fans who they said gave them the strength to fight every step of the way. Gordon said, "It's been a long road for both of us and without the fans who have endured some very wet races this year, we could not have achieved this success. Their support has been amazing." Honda UK and title sponsor Yuasa Battery Sales (UK) Ltd will continue their winning partnership next year. Organisers of the Protyre Formula Renault Championship are delighted to confirm an expanded 16 round calendar for 2013, featuring four ‘triple-header’ events and, as for the last two seasons, an extremely high-profile finale alongside the Dunlop MSA British Touring Car Championship. In-keeping with its growing reputation as a true national-level series in UK single-seater racing, the category will now be known as the Protyre Formula Renault Championship – the ‘BARC’ tag of old will no longer be used, although the British Automobile Racing Club continues its administrative role. 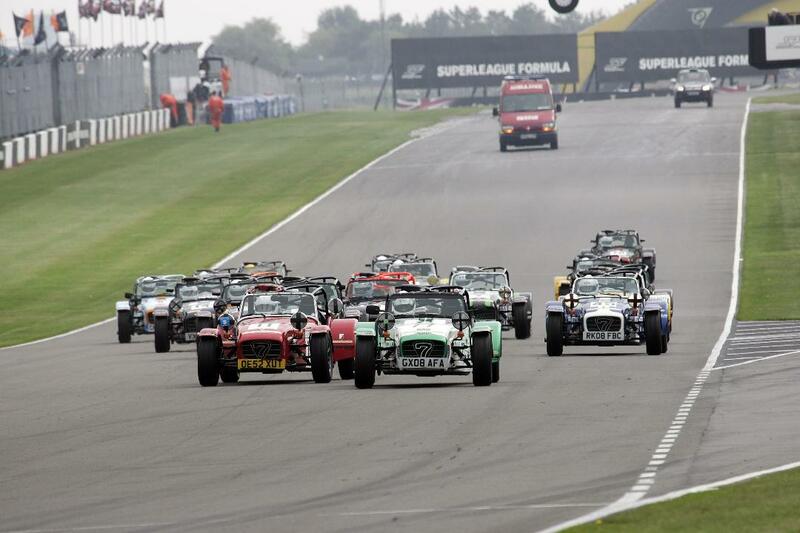 Moving to offer even greater value for money to competitors and teams in 2013, the already highly cost-effective championship will retain a six-weekend calendar but one which features 16 races in total, an increase of two rounds on 2012, with visits to some of the country’s most popular circuits. 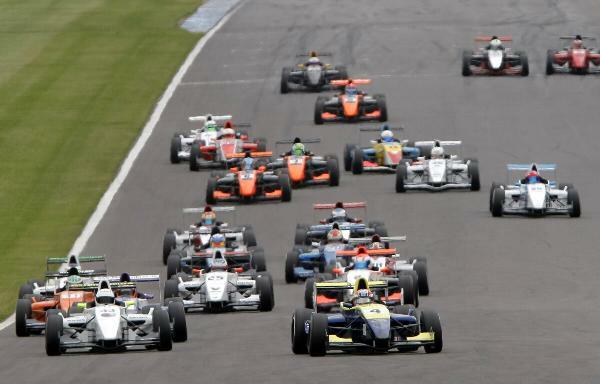 Beginning at Donington Park National Circuit in Leicestershire over the weekend 13th/14th April, the 2013 Protyre Formula Renault Championship will then travel to Norfolk’s Snetterton 200 Circuit on 11th/12th May for the first of a run of four consecutive ‘triple-header’ events. Thruxton in Hampshire will host the third race meeting of the season on 1st/2nd June, the annual visit to Croft in North Yorkshire will take place on 13th/14th July and the last of the triple-headers will be held at Rockingham in Northamptonshire over the weekend 10th/11th August. Silverstone National Circuit in Northamptonshire will then host the final two races of the campaign on 28th/29th September, with the Protyre Formula Renault Championship joining the hugely popular BTCC support package as it has for the previous two seasons at the home of the British Grand Prix. “We’re very happy with the calendar we’ve agreed with our teams and the BARC and delighted to have once again secured a support slot alongside the BTCC for our championship finale, we’re very grateful to Alan Gow [BTCC Series Director]”, said Protyre Formula Renault promoter Simon North. In terms of changes to the qualifying format for 2013, at the triple-header events there will be two 15 minute sessions which will be separated by a 90 minute break. Each driver’s fastest time during the opening period will determine the race one grid with second fastest times setting the grid order for race two. The starting line-up for race three on any given weekend will be set during session two. Where two rounds are contested, during the season-opening event at Donington Park and the series finale at Silverstone, there will be one 20 minute qualifying run with fastest and second fastest times determining the relevant grids in each instance. Prior to the start of the 2013 campaign, the competitors and teams from Protyre Formula Renault will join their counterparts from the Renault UK Clio Cup for the pre-season ‘Media Day’ and timed test session on Thursday, 21st March, at Silverstone National Circuit. Released on Friday, the MIA’s 2011/2012 Motorsport Business Survey shows sales growth and increases in output, employment and research and development (R&D) investment within the sector. It’s in contrast to a broader survey of manufacturing in the UK conducted by business lobbying organisation CBI, which reported muted expectations. The UK motorsport industry is a key contributor to the British economy, generating £6 billion in global sales annually, with the centrally-located Motorsport Valley home to over 3,500 companies and 40,000 jobs. Nearly 60 per cent of motorsport companies participating in the Motorsport Business Survey reported an increase in sales over the preceding financial year. Over ten per cent of those companies reported a rise of more than 50 per cent, despite the harsh economic climate. A sign of the growth and vitality of the sector, 56 per cent of companies reported increasing headcounts during the 2011/2012 financial year, while 17 per cent of motorsport engineering companies invested over 30 per cent of their turnover on R&D, well above the UK manufacturing average. The local industry’s biggest showcase and networking opportunity, over 700 companies exhibited at Autosport International 2012, with more than £800 million in business generated. With the 2012 trade audience of 28,500 including 5,100 decision makers from outside the UK, it also represents a major opportunity to network with international firms. Four-fifths of British motorsport businesses now export, with 22 per cent reporting more than half of their turnover generated by international sales. Renault UK is delighted to announce the British Automobile Racing Club (BARC) has been appointed the new promoter of the Renault UK Clio Cup for 2013 with Simon North making a return to the role of Championship Manager. The Thruxton-based BARC takes the helm of the popular Dunlop MSA British Touring Car Championship support category, as preparations for the 2013 season get well underway. An eight-weekend, 16-race calendar for next season is confirmed with the Renault UK Clio Cup running alongside the BTCC at each of its events, with the exception of the trip north of the border to Knockhill in late August and the visit to Silverstone at the end of September. Therefore, this means the 2013 Renault UK Clio Cup season will commence at Brands Hatch Indy Circuit on 30th/31st March before travelling to Donington Park, Thruxton, Oulton Park, Croft, Snetterton and Rockingham, prior to the return to Brands Hatch – this time on the full Grand Prix Circuit – for the grand finale over the weekend 12th/13th October. Also new for next season will be the arrival of Dunlop as the official tyre partner for Clio Cup, the start of a multi-year agreement which brings the championship even more in-line with the BTCC. With everything in place to ensure a smooth 2013, prior to the arrival of the brand new Clio Renaultsport 200 Turbo race car the following year, Renault UK has high hopes for a classic swansong season for the existing third generation Clio Cup car. On behalf of the BARC, Ian Watson – who takes a lead role heading up the organisational team behind the Renault UK Clio Cup – commented: “I speak for everyone at BARC when I say how delighted we all are to be the new promoters of the Renault UK Clio Cup, especially with the long and successful partnership we’ve enjoyed with Renault over the years. Simon North, who was previously the Championship Manager of the Renault UK Clio Cup between 1992 and 2011 and who is also the current promoter of the Protyre Formula Renault BARC Championship, is relishing the opportunity to work once again with the ultra-professional Clio Cup teams and, of course, Renault UK itself. Leading teams from the Renault UK Clio Cup have warmly welcomed the announcement regarding the new custodians of the championship, and also the arrival of Dunlop which is set to bring fresh impetus to the one-make saloon car category. “This is great news, I’m really looking forward to 2013 and having both BARC and Simon [North] looking after the Clio Cup”, said Mark Hunt, principal of 2012 Driver and Entrants’ championship winners Team Pyro, “You don’t realise what you’ve got until you’ve lost something, having Simon back as Championship Manager is really good for everyone. Renault UK Clio Cup stalwart Colin Stancombe, inimitable figurehead at Stancombe Vehicle Engineering, commented: “I’m delighted to see a professional organisation, and thoroughly professional people, back in control of Clio Cup – it’s precisely what the championship needs after a difficult year in 2012. Lee Brookes, team principal of multiple title winning squad Total Control Racing, added: “It really is good news for the teams and the championship as a whole to have Simon back in charge with BARC – it’s back to the old days when everything ran smoothly. With BARC there to help, and people like Ian Watson behind the championship 100 percent, it’s great. To be in with a chance of winning a place on the grid, simply buy a ticket to the Performance Car Show 2013 (January 10-13 at Birmingham’s NEC) and submit 150 words explaining why you should win, or describing a favourite car or race circuit at The PistonHeads.com Caterham Academy Competition. 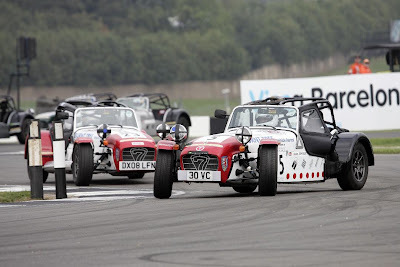 Ten finalists, selected by Pistonheads, will then battle it out head-to-head in a specially-designed challenge, with the winner booking their place on the 2013 Pistonheads.com Caterham Academy, widely-acknowledged as one of the world’s most successful novice routes into racing. 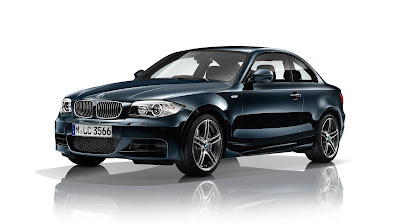 The closing date for entries to win the unique competition package, worth over £25,000, is midnight 13th January, 2013. The Academy has created almost 900 brand new racing drivers since its inception in 1995 and remains the most popular way for would-be racers to take their first steps into entry-level motor racing. Through articles written by the competition winner, Pistonheads.com will follow his or her progress, covering their evolution from wannabe track star to fully-licensed racing driver at every event on the calendar. The season-long campaign takes drivers through the process of gaining their race license, as well as their first full season of competition, including a structured progression through sprints and circuit races. Caterham Cars’ Chief Motorsport & Technical Officer, Simon Lambert, said: “The Academy has always been about providing an accessible route into entry-level motorsport and providing a level playing field for our novice drivers. The 2013 Pistonheads.com Caterham Academy experience, in association with the Performance Car Show, gets underway in earnest with the ARDS course in February. 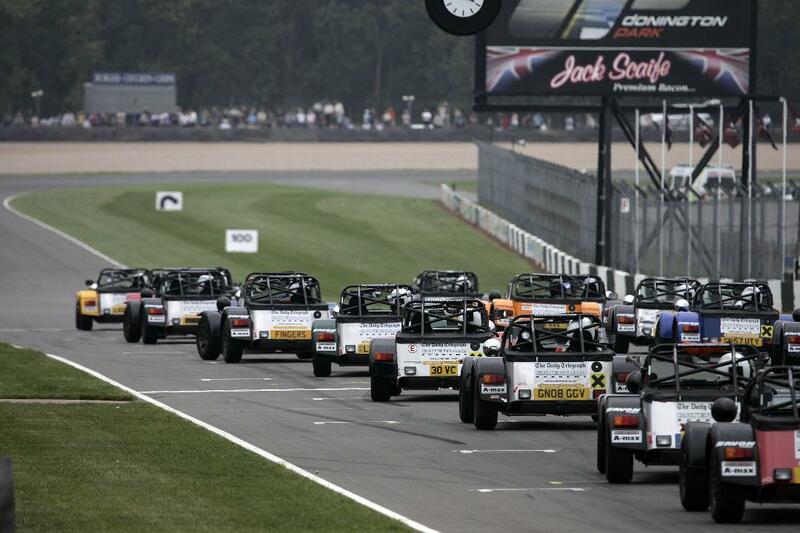 Please visit http://caterham.co.uk/motorsport/ or call 01322 625800 for more information about the Caterham Academy. Could you be on this grid? The Motor Sports Association (MSA) is pleased to announce that the Coleraine Chronicle’s Jason Craig has been named the Renault MSA Young Motor Sport Journalist of the Year 2012. Established in 2002 in association with Renault UK, the award is designed to recognise the most promising journalists aged 25 or under working within British motor sport. Craig, aged 25 from Co. Antrim, joined the Coleraine Chronicle in 2010 after graduating from Coventry University. The judges were impressed by his accomplished news writing, the breadth, depth and originality of his stories, and the sheer amount of copy bearing his byline. In a supporting letter, Coleraine Chronicle sports editor Damian Mullan credited Jason with a major increase in the paper’s coverage of rallying over the last two years, while former British Historic Rally Champion Dessie Nutt praised him for significantly raising awareness of motor sport in the region. Craig will collect a trophy and a cheque for £1000 at the MSA’s Night of Champions at the Royal Automobile Club, London, on 19 January 2013. 750 Motor Club announces 2013 Calendar.